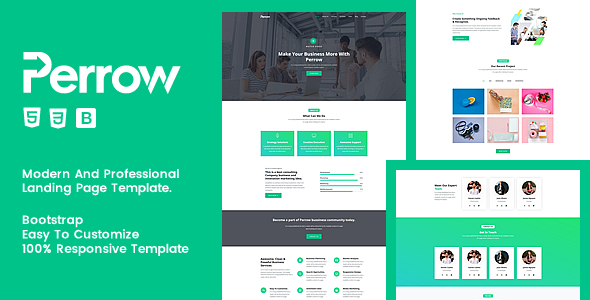 Perrow Creative Business & Corporate MultiPurpose HTML5 Template is a creative and modern desing with clean code based on most popular framework Bootstrap 4.1.3, This Html Template is mobile friendly and designed with modern look, This Template is suitable for any Financial Business, Corporate Business, Corporate Business, App Shoecase, Software Showcase Landing, Agency Landing, Portfolio, Minimal Portfolio. and much more. This template is very well commented and also have proper help documentation. Please Note This item is static HTML5 Template, It’s not a WordPress Theme.Images are only for demo purpose, not included in download files.